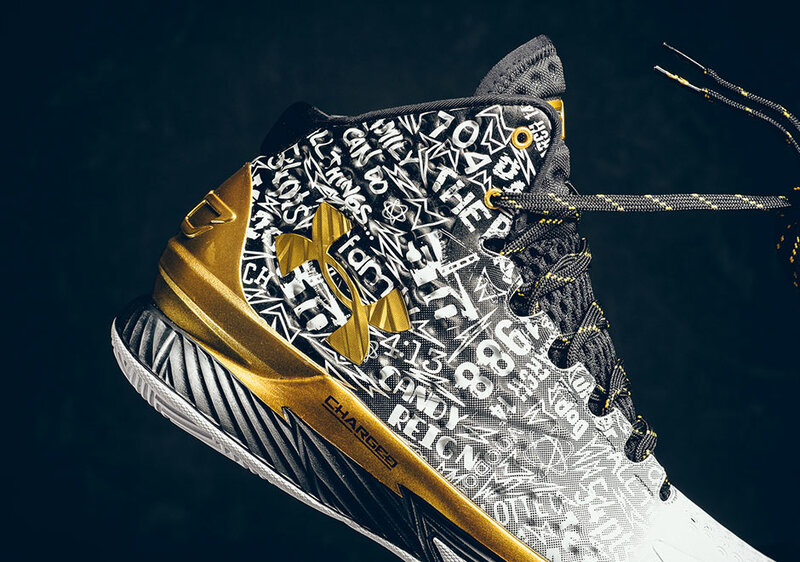 It’s quite possible that Under Armour originally hoped to create a “Back to Back” championship pack for Steph Curry, but luckily they had a fall-back option. 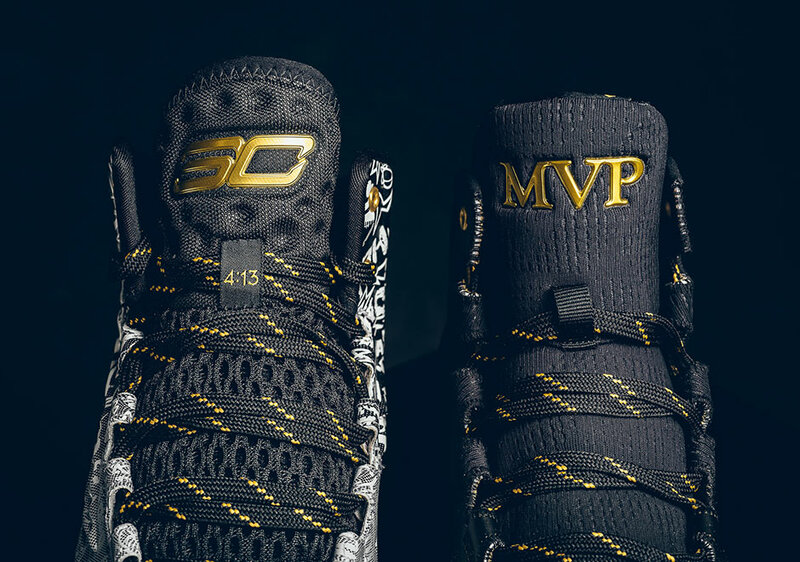 Since Steph earned the MVP honors in both of the last two seasons, the “Back 2 Back” theme was still usable on this duo of Curry 1 and Curry 2 colorways with a celebratory theme. 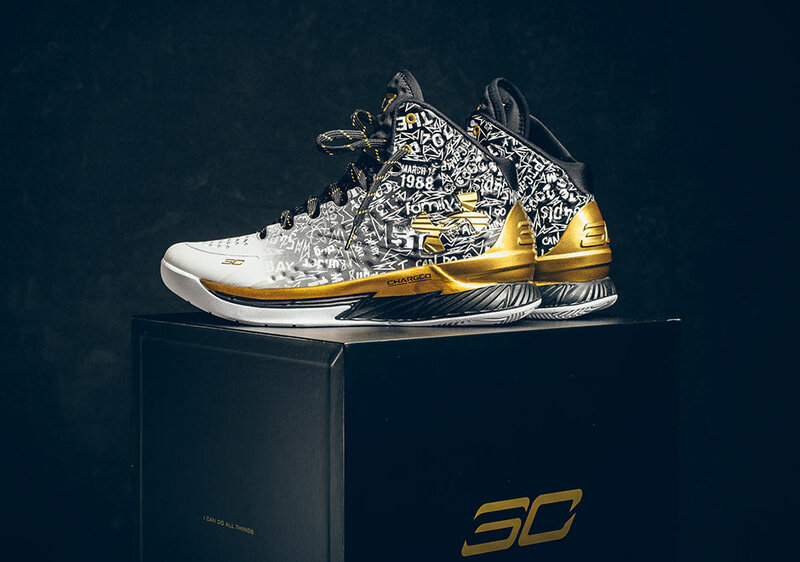 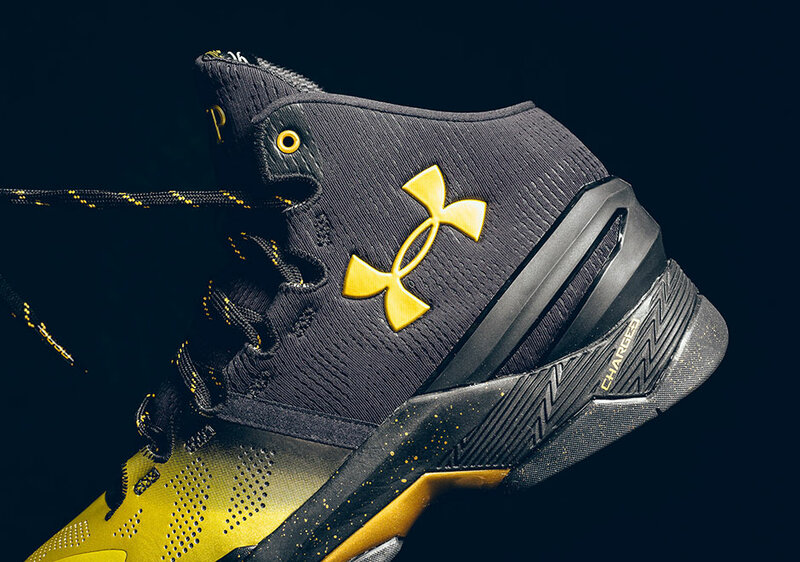 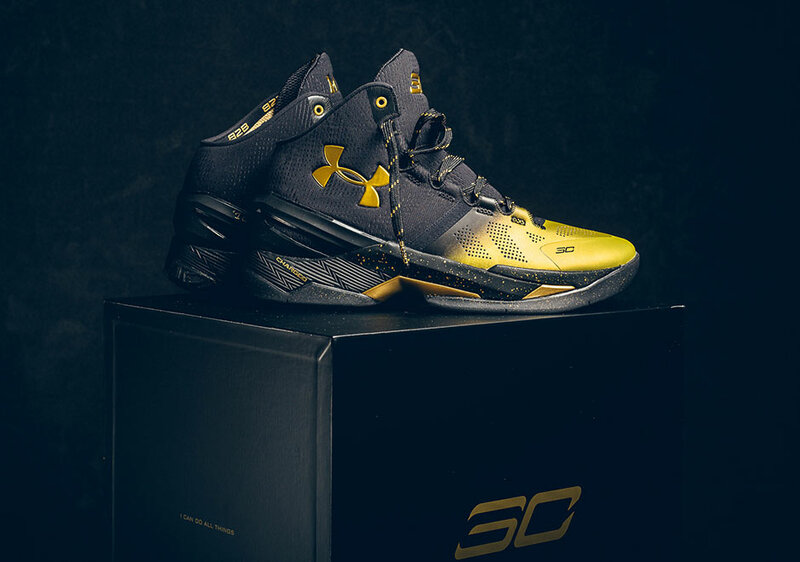 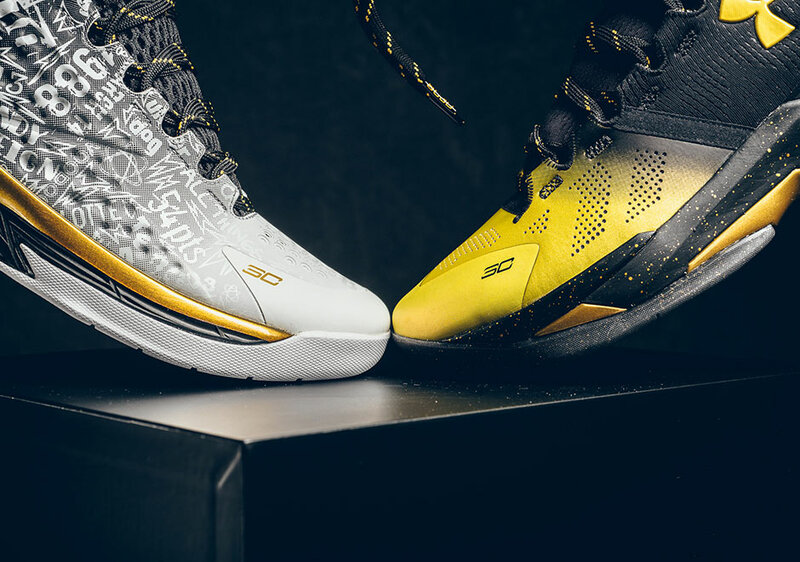 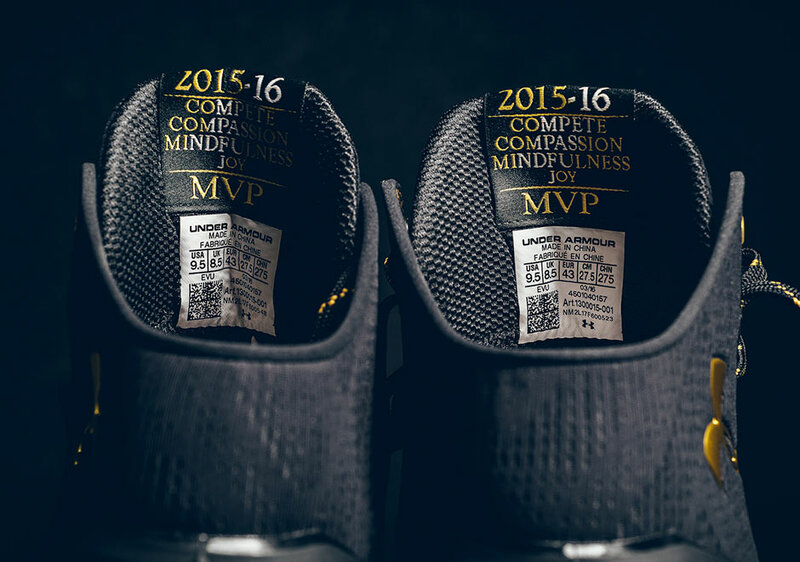 Both models get dressed in MVP-inspired themes, with the Curry 1 in a bold and busy graphic upper with various numbers and phrases significant to Steph’s career, while the Curry 2 receives a black to yellow fade across the upper with “MVP” on the tongue. 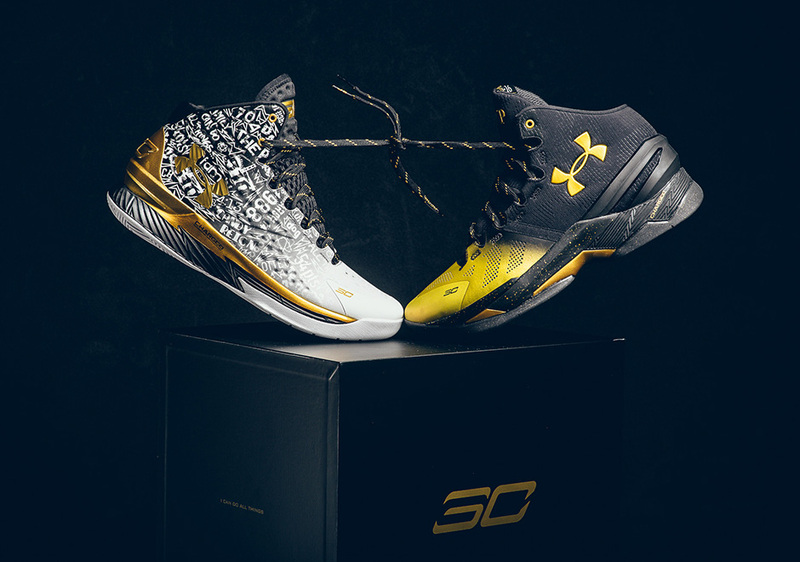 Both shoes are sold together in the $400 pack, which hits select Under Armour retailers like Sneaker Politics in limited quantities on August 10th.